Natural beauty, culture, a long history, and friendly people - a few reasons why more and more tourists are exploring Vietnam, taking in the ancient capital, Hanoi, breathtaking Halong Bay, peaceful Hoi An town, and bustling, modern, Ho Chi Minh City (Saigon). In addition, numerous white sandy beaches run the country's length from North to South. 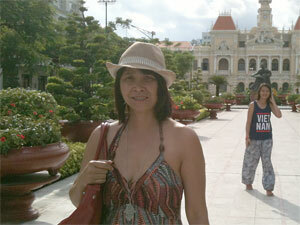 Our Vietnam tours offer a wide range of places to visit as well as activities to enjoy. Vietnam certainly has something for everyone. Price for Private Tour: From $1365per person + Internal Flight - low season (based on 4 Star accommodation). Price for Private Tour: From $2495 per person + Internal Flight - low season (based on Deluxe accommodation). Price for Private Tour: From $1276 per person + Internal Flight - low season (based on 2 adults sharing Star accommodation). Price for Private Tour: From $1458 per person + Internal Flight - low season (based on 2 adults sharing Star accommodation).